It has been a very busy year for Queena and I’m here to give you some updates on her many therapies and touch on some of the highlights of her year. For those of you who don’t already know who I am, my name is Ashley and I am one of Queena’s best friends from high school. 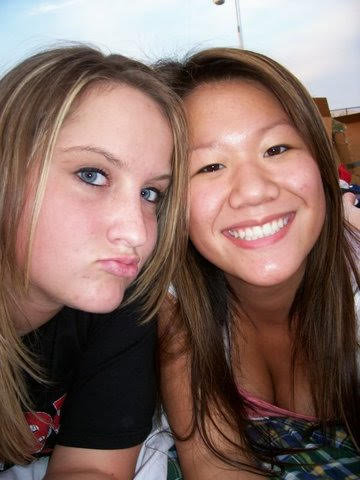 I think I was about 16 when I met Queena and we instantly became best friends. If you have ever heard me speak to Queena, you may have heard me call her Phuufer, this is the nickname I gave her back in school and it has always just stuck with me. As most of you know, our group of friends in high school was very close and it was rare that you would catch us doing things without each other. The Queena that I remember from before the attack was this bubbly, goofy (often clumsy), sweet girl. She was the light in a dark room. I often wondered how someone could always be so cheerful and happy, but that was Phuufer for you, just a happy teenage girl who always saw the best in everyone. My memories of that Queena will always remain with me, but unfortunately, so will the memory of the night she was attacked. I remember getting the call just hours after, being at the hospital, and thinking it would all be fine. Nothing can prepare you for something like that. 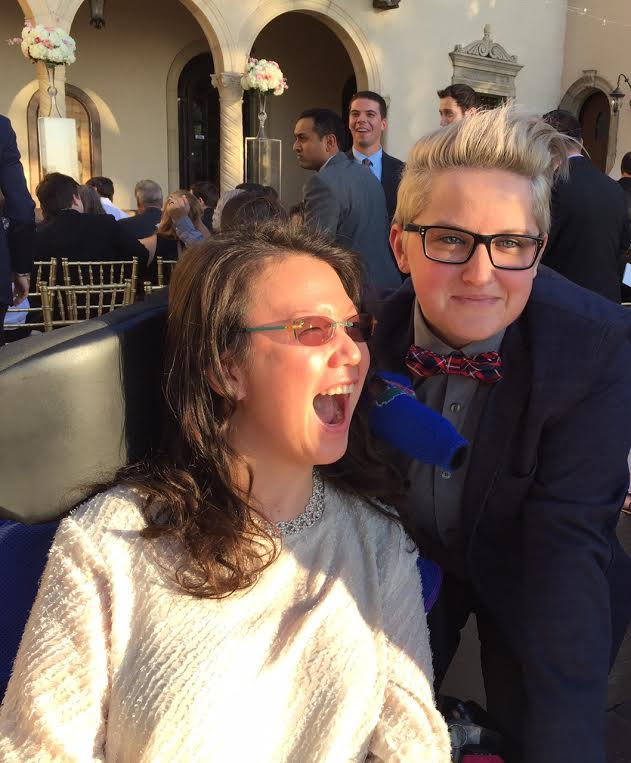 It was that night that changed all of our lives forever, but Queena has fought hard to get to where she is today and I know that the support that our community has shown her has a lot to do with that. 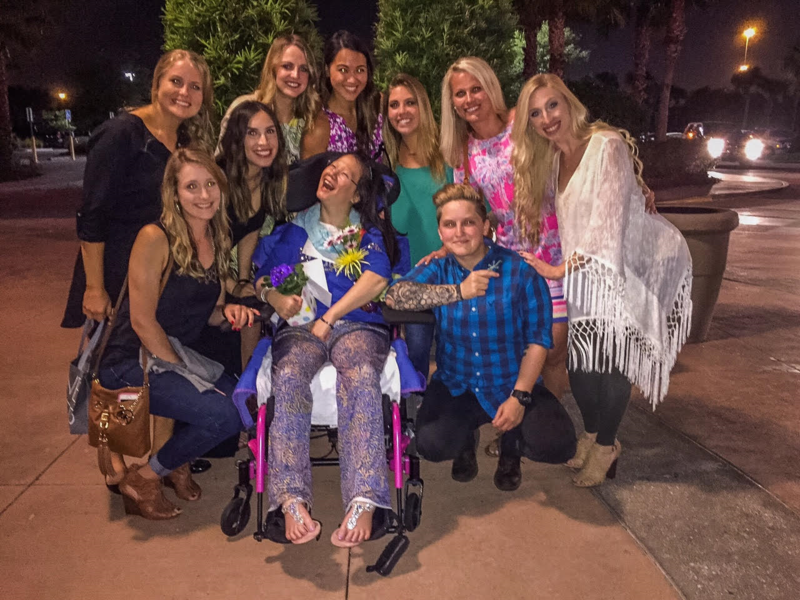 In April of this year, we celebrated Queena’s 26th birthday by having a special girls’ night out. We had dinner together and even our dear friend Priscilla (someone who has always been very close with Queena) made a special trip down from Virginia to see Queena. April of this year also marks 8 years since the attack. That is 8 years of constant hard work and fighting for Queena. 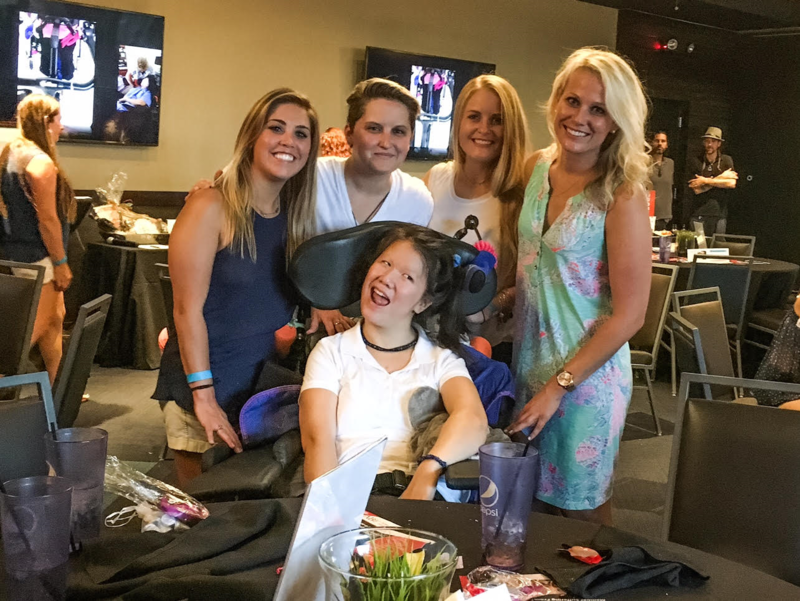 In June, The Hope Classic Topgolf tournament was held in honor of Queena to raise money to put towards a beach wheelchair and help pay for a new neurological treatment called Biofeedback. Through this tournament, $14,000 was raised and we learned that a lot of Queena’s friends should not quit their day jobs to become professional golfers. A big thank you to all who came out to support, participate, and especially those who helped sponsor the tournament. This year, Queena has also received two Stem Cell Therapy/Injections from Dr. Kristin Comella. She is receiving intrathecal injections of Mesenchymal stem cells which means they put the cells in the lower part of her back into the spinal fluid to allow the cells to easily cross the blood brain barrier. Once these cells go to the brain, they can reduce swelling and help heal the damaged tissue. It is possible that they may even remodel the scar tissue to replace with normal functioning tissue. Dr. Comella has noted that since beginning treatments Queena has experienced several important improvements, including better cognitive ability, better balance, better control, and increased vocal capabilities. Phuufer has also been spending most of her Wednesdays attending Pyramid, an arts focused, adult training center. It is here that she participates in two different classes: Dance and Painting/Drawing. Each dance class is started with The Brain Dance, an exercise that links mental and physical faculties. Queena then gets to dance with two of her fellow students on either side of her to help with the exercises and routines. Since it is no surprise that Queena is a big University of Florida fan, they have even integrated several Gator cheers into each class. Her painting class begins with laughter and talk about how the Gators are doing. Typically, Queena has a topic or image that captures her imagination such as Tim Tebow (no surprise there) or Justin Beiber. Her art instructors help her break down the image into workable sections and then employ hand over hand techniques to draw the outline and paint in various colors. I actually still have a silly picture that Queena drew me our Junior year of high school, so it doesn’t surprise me that she is enjoying these classes so much. Queena would like to give a special thanks to Dr. Brown at TruWell who has donated IV Nutritional Therapy once a month for Queena. This is where multi-vitamins are given directly into the bloodstream. Queena has difficulty absorbing nutrients through her gastrointestinal tract and these IV nutrients allow her to receive high doses into the blood stream where she can absorb them directly. Thanks to Dr. Brown, she has been able to receive numerous infusions, including Myer’s Cocktails, high dose Vitamin C, and Glutathione infusions. To add to Queena’s adventures, she is going to Stay In Step, a non-profit center designed to provide state of the art recovery to SCI patients in the Tampa community and surrounding area. She attends two-hour sessions here that allow her to work on her walking. She is putting in a lot of work here in hopes of being able to walk again one day. 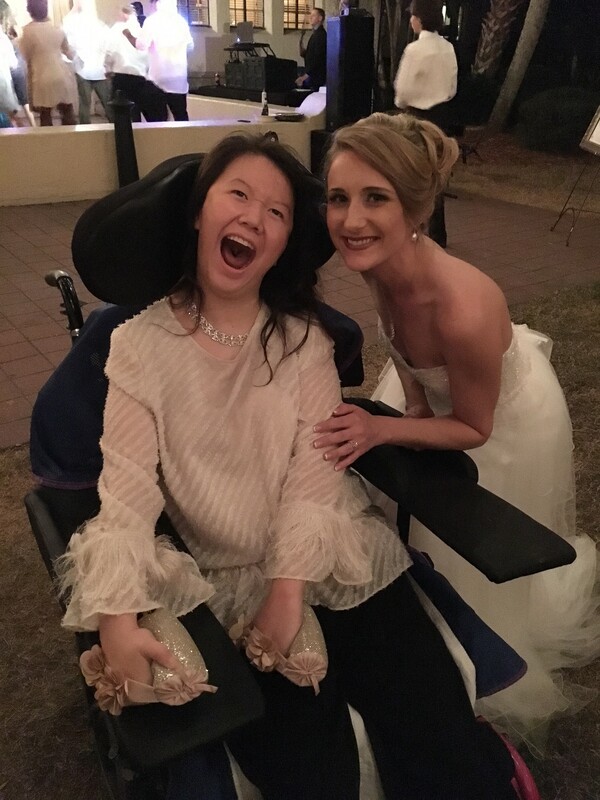 While I am on a roll with the updates, I would like to touch on Queena’s private speech therapy, something that is only made possible through the community’s donations and Q’s family’s funds due to the fact that Medicare does not cover it. For this out of pocket therapy, Queena sees Mr. Don once a week at home who says that Queena is a motivated learner and has great family support. She has made progress in verbal attending and comprehension. She is able to follow and attend when one step verbal directions are provided. She is also improving in non-verbal communication skills, she is able to gesture her wants and needs with physical movements and eye gaze responses. Other improvements include her volitional swallows with less saliva retention and oral mobility (she is now able to open and close her mouth with ease when tactical stimulation is applied to the exterior of the total cavity. Mr. Don reports that Queena is an alert and cooperative patient. It is crucial that we all continue to fight to have this covered by Medicare or the Sunshine Long Term Care Waiver so that Phuufer can continue this therapy. In March of this year, Queena began music therapy with board certified music therapist James E. Riley, MM, MT-BC. She has spent the last six months collaborating with Music Sweet Music’s intern Mary Grace. She is frequently offered choice of songs, activities, instruments, and more. James and Mary Grace provide prompts and wait patiently to see if Queena wants to communicate “no,” or to smile in order to express “yes!” As it has been put in her year end review from James, “The most emotional highlights of almost every music therapy session are the moments when Queena hears just the right song she wants to use in our work and immediately smiles so wide with the brightest facial affect.” It has also been noted that Queena still loves to jam to Justin Beiber and Luke Bryan. During a typical session, James plays a steady rhythmic pulse on the guitar to potentiate and help regulate her motor response while Mary Grace sets-up a drum as a target and places a transverse mallet within Queena’s grip, then provides hand over hand assistance with arm exercises. The structured sequence of Queena’s arm flexion, extension, drum tapping, and relaxation is cued with consistent verbal prompts. Queena is clearly making an effort to develop her control and coordination. Queena also loves exercising motor control using an electronic Q-Chord while playing along with her choice of song. Queena’s ability to initiate movements and act with increasing independence was inconsistent week to week, yet very evident. They have practiced releasing excess muscle tension, effective breathing, and have attempted to improve swallowing. 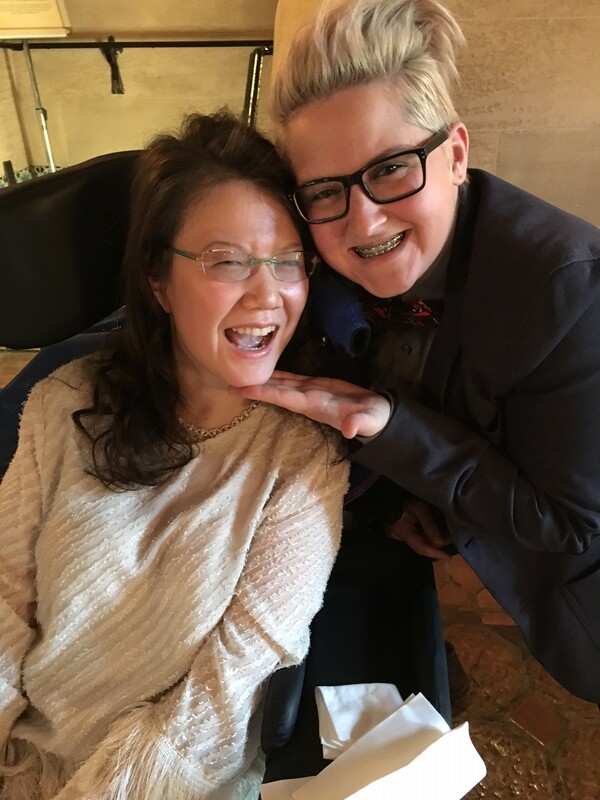 As December wraps up, Queena has had to say goodbye to intern and good friend, Mary Grace, but seems ready to for James to continue music therapy in January. 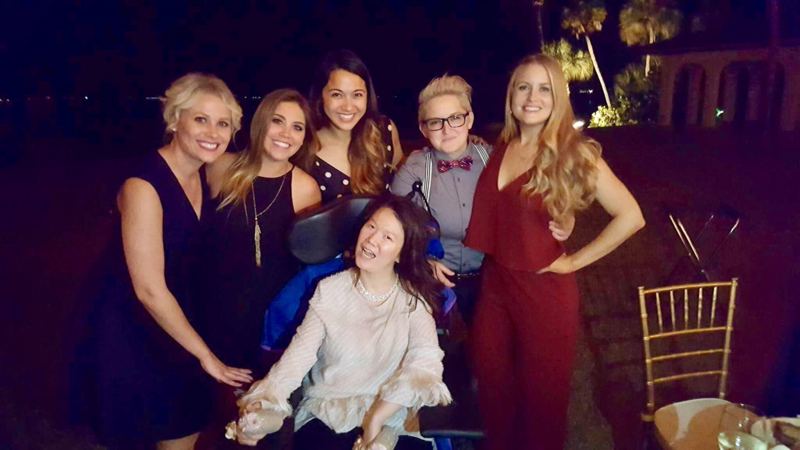 Continuing on with Phuufer’s busy year, we recently all attended our friend Chrissy’s beautiful wedding in Sarasota, FL. Queena was able to watch her best friend walk down the aisle to marry her husband Bryan who just so happens to be the older brother of our other friend Kristen. We got to take silly pictures in the photo booth and enjoy dinner together all while celebrating them. I know that having Queena there meant a lot to Chrissy and Bryan. I also know that Queena wouldn’t miss it for the world. As 2016 nears an end, Queena and her family/friends would like to once again thank everyone who continues to follow, share, and support her story. Everyone has their good days and their bad days, Queena is no different, but it is because of each and every one of you that Queena feels the love and support that keeps her fighting and working hard every single day. I hope that you all get the opportunity to meet Phuufer at some point if you have not already. You will find that she has a contagious smile and laugh, something that she has always had. It is because of Queena that I try to be a better person each day. It is because of Queena that even on MY bad days, all I need to do is think of her and things don’t seem so bad. As I said earlier, she is the light in a dark room. With that being said, we would like to wish everyone Happy Holidays and hope that everyone has a Happy New Year. Queena looks forward to another busy/productive year in 2017 and she cannot wait to show everyone what she is capable of. As for me, I personally would like to thank all of you for all that you have done and are continuing to do for Queena and I hope to meet each and everyone of you at one of the upcoming events.